Rail travel in the UK is over-priced and chaotic. Renationalising the railways would keep prices in check, and improve the experience of both travellers and workers. Sign this petition to call for a rail service that prioritises people over profit. We have the most expensive train fares in Europe, where most railways are publicly owned. An overwhelming majority of the UK public support renationalising our railways, but the government isn't listening. Privatisation has cost hundreds of millions of pounds in public money as we repeatedly pay for errors made by those we outsource the rail services to. At the same time, the messy mixture of providers has led to poorer working conditions for those who keep our services running daily for modest pay. Privatisation has also led to inconsistent safety, including several fatal derailings. Please sign to tell the government that the public wants nationalised, affordable, better run rail services. Great news! 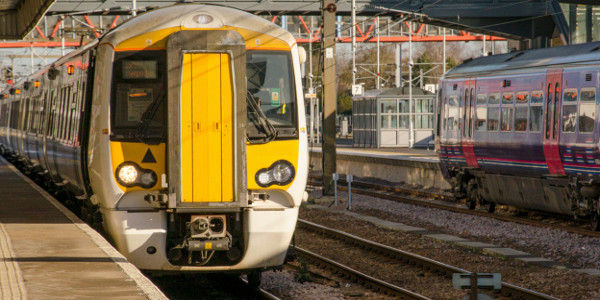 The Labour Party has pledged that if they win the election they will bring private rail companies back into public ownership. This would be great for passengers and the British economy. I urge you to vote in the general election on 8th June with this in mind. Read the Labour Party manifesto here. Are you tired of expensive train fares and poor service? Join us at events all over the UK on 3rd January 2017 to demand an affordable, quality, national rail service in Britain. See details of protest locations here. Join the national Day of Action for public ownership next week on 16th August. Click here to RSVP and for more info! Protests are taking place at stations all over the UK - from Brighton to Glasgow - to End the #RailRipOff. Other events are also planned – read the full update.